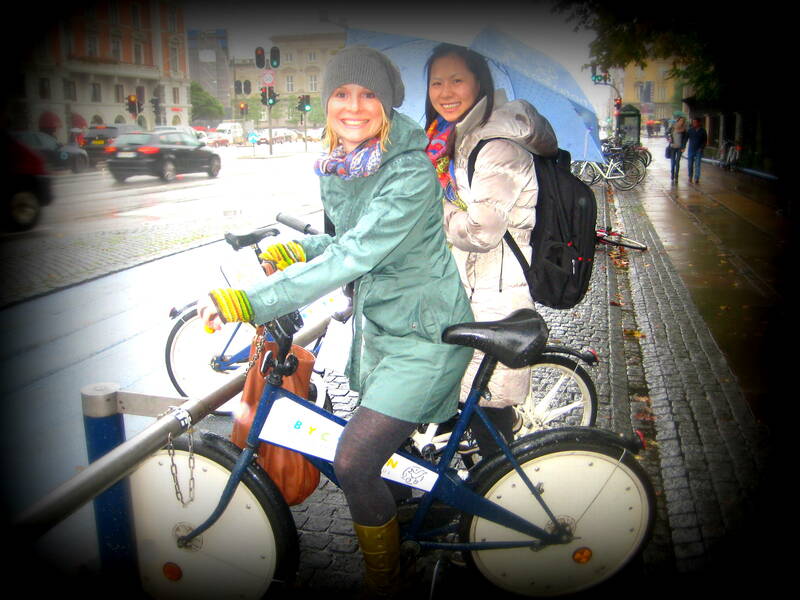 Having spent the last 10 years living (or regularly visiting) established or emerging European cycle cities (e.g. 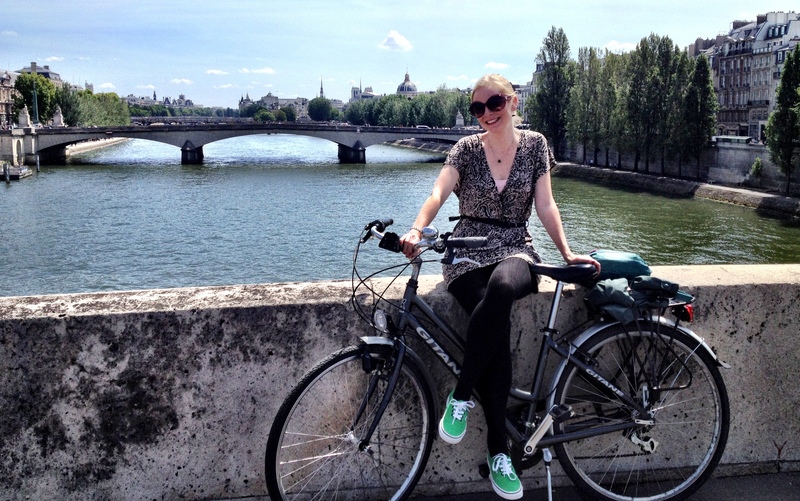 Budapest, Basel, Malmö, Copenhagen, Amsterdam and Paris) it’s safe to say: bicycling is in my blood. This is not just a European thing. I’ve tested urban cycling infrastructure during visits to Abu Dhabi, Medellín, Seoul and Doha. While a city’s walkability and public transport are important, there’s something special about urban cycling. It’s exercise; it’s transport; it’s exploration; it’s a lifestyle. Sure, some cities are safer for cycling than others. Still many of the cities named above have great – or improving – cycling infrastructure: segregated bike lanes, traffic lights and signs indicating or dedicated to cyclists, available tire pumps, bike maps and bike shops… and drivers that generally respect cyclists and pedestrians – generally. These days I feel more confident on two wheels, than four. On my bike I can multitask (although I know I shouldn’t) sending a text, making a phone call, taking a photo, following a map to my destination. (Perhaps I should dedicate a blog post to how cycling and smart phones go hand-in-hand…) While some cycling advocates would likely condemn this cycle-multi-tasking, these are behaviours I would never attempt in a car. In a car, I have full concentration: hands at ten-and-two, the radio off, plenty of space allocated to the car in front of me. (I’m a bit of a grandma when I drive. After all, in the last 10+ years I rarely sit in the driver’s seat…) If or when I return to a more car-orientated city, I will miss the freedom and pleasure of my blissful bicycle lifestyle. Still, I’m happy to see that it’s not just European cities that are following this trend. Cities across the globe are realizing that city cycling just makes sense. In Seoul, in Seville, in Beijing, in Bogotá… people are moving to the bicycle, or moving back to the bicycle. (Of course in some cities, the opposite trend is also underway as car sales climb in Asia, Africa and elsewhere…) Nevertheless, I remain hopeful that this bicycle lifestyle will become status quo in more than just the ABCs of cycle cities: Amsterdam, Berlin or Copenhagen. Cycling is an equalizer. It brings random individuals together in public space – sometimes racing past each other for the train (this I do…) and sometimes leisurely conversing. It does not know rich or poor – we are all affected by the rain or the wind, on a fancy or rickety bicycle. It is health and fitness; it’s affordable transportation, less traffic congestion and clean air all at once. Cycling can influence urban planning and vice-versa. Without repeating the virtues of the bicycle for urban transport, admittedly not all cities are (yet) as cycle friendly as the ones mentioned above. In this regard, I’m proud to watch my “home” city of Seattle, improve its cycling infrastructure, one bike lane at a time. Slowly, slowly this hilly city is becoming home to many urban cyclists – some in Lycra, some in high heals. Still even in cities with improving bike infrastructure, for many new city cyclists testing out the bicycle commute for the first time can be intimidating. To encourage this trend, Seattle-based e-magazine Grist produced a short video on the “how to” of becoming a city cyclist. For some, it may seem obvious, for others it may seem humorous, and for the rest… it might just make sense: get on that bike. I’m a producer with the travel radio program, Peter Greenberg Worldwide, and we’ll be recording a show in Amsterdam on October 14, 2014. Any chance you’d like to be a guest on the show and share your travel experiences/stories/advice with our audience? I’d love to. When will this be though? I’m likely heading to Austria that day for a week, but need to book my tickets. Would morning work? Sounds like a cool programme and thanks for reaching out!